Welcome to the website of Anton W. van Bekhoven L'amateur de livres since 1959. Antique Books and Rare books. All Antiquarian offers are in absolute mint condition. Universities, libraries and private collectors from all over the world are happy customers for years now. We frequently visit the United States, feel free to make an appointment by phone or e-mail. So we can contact you, and get familiar with your collection. A.W. van Bekhoven L'amateur de livres offers a wide range of rare and Antique Books about: Art, Architecture, Art History, Bibliography & Typography, Flemish and Dutch art, History, Philosophy, Middle Ages Serials & Periodicals, catalogues, and reference books on the same. We have all the antique books. See All the books of A.W van Bekhoven. Our specialised antiquarian stock has been built up over 60 years and holds thousands of titles. These are offered worldwide. People who are setting up a special collection or library are invited to request our specific stock lists. We are always interested in buying single volumes and whole collections in our field or other antique collectibles. All antiquarian offers are complete and in mint condition unless otherwise stated. Prices are in American ($) Dollars and Euros. If you are interested in buying some of the offered books, please feel free to send an email. We will contact you as soon as possible. Books are send all over the world (including Japan and Australia). If you have any questions about rare books, antique, collectibles, antiquarian, out of print books please let us know! 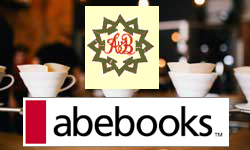 We have a 5 star Abe Books.com Completion rate, The highest rating possible. Which means that AbeBooks booksellers guarantee the condition of every book as it is described on the web site. You are eligible for a full refund of the purchase price, including shipping costs, if your return is a result of an error on the part of the bookseller. You can order your antique books via Abebooks.com if you wish to make use of American Express, VISA, Mastercard or any other Creditcard. If you want to order direct you can use a personal check if we know you. If you are concerned about the weight of the package. Please let us know when you are ordering. It is possible that we will recalculate the shipping costs for your antique/ antiquarian books. Since some sets are 20 volumes or even more. We will let you know what the adjusted shipping costs will be by e-mail. Also it is possible to pay via Paypal . use the Paypal button below to start your payment. If you order antique books via Abe books, then you will have to re-confirm your order by e-mail if you agree with the new shipping costs. Then we will re-confirm the order online. Of course if you are ordering a single rare book, we will charge you the indicated shipping costs. All shipping costs are based on economy shipping. We can also ship the antique books to you via priority. Just let us know whatever you prefer. All rare books will be sent within 72 hours after we recieve your order, and a payment is made, either via Abe or direct to us. Other questions about our rare book collection are welcome by telephone: Call +31(0)20-2337424 or email. All our packages or parcels are wrapped in really thick cardboard and are shipped in a secure way. We will make sure that your order will not be damaged in any way. People who already order with us, know we are known for our very thourough wrapping of our book packages/parcels. It is very important to us that the books we send, arrive in the same mint condition as we send them. Just perform a direct search or click on the link All the books of A.W van Bekhoven and you will directly enter the A.W. van Bekhoven online rare books catalogue. So you can order your antique books online today!